We are looking for energetic, experienced & qualitfied care workers that match our client needs. Care workers wishing to work with Practical Care will need to complete an online registration form to register their interest. 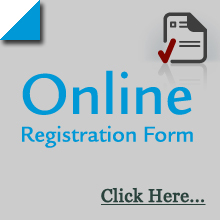 Please click here to register with Practical Care. Practical Care is committed to ensuring that all of our employees uphold the principles of honesty, integrity and are both competent and responsible. Successfull applicants will have under gone various types of training to ensure that they can carry out the activities for which they are employed. Confirmation of the suitability of each candidate through our recruitment and selection policy will have to be determined before application is deemed as being successfull. •	Request and verify two written references. •	Confirm the identity of the applicant. •	Confirm the applicants entitlement to work. •	Undertake a criminal record bureau check (CRB). •	Undertake a Protection of Vulnerable Adults check (POVA). Practical Care has an overriding responsibility to safeguard the health, safety and well being of all our employees. In the field of domiciliary care and support, the service user’s home is the care workers “workplace” for much of the time. While the worker is in a service user’s home, Practical Care shares responsibility for employee health and safety with the service user or their representative. Practical care operates an equal opportunities policy in its recruitment procedures to ensure that all care workers are selected on the basis of their ability to fulfil the requirements of the job. Service Users and Care Workers alike should be treated equally and fairly regardless of race, colour, nationality, gender, marital status, sexual orientation, religion, social status, politics, disability or age. Practical Care has all mandatory insurance including comprehensive insurance cover in respect of Employer’s Liability and Public Liability. All relevant certificates can be inspected at our head office.